While known for producing nearly 40 percent of all coal mined in the US, Wyoming’s other resources associated with that same geology are rising to the fore — including natural gas, oil and wind power. But as those resources wait for transmission infrastructure to catch up, carbon still rules. Companies operating and expanding in Wyoming benefit from the state’s low prices for power: second lowest in the country as recently as August 2015, with recent monthly average prices for power around 26 percent lower than the US average of 10.86 cents per kilowatt-hour (kwh), at 7.99 cents per kwh. The cost of natural gas was more than 25 percent below the national average as recently as July 2015, according to the US Energy Information Administration. Low cost of power is one major reason the state has welcomed heightened interest from data center developers, headlined by Microsoft’s $200-million expansion project in Cheyenne in early 2015. Overall the company has invested $750 million in multiple data center projects in the business park owned by Cheyenne LEADS over the past four years. Other investments have come from EchoStar in Cheyenne, Ptolemy Data Systems in Sheridan and Mountain West Technology Network in Casper. 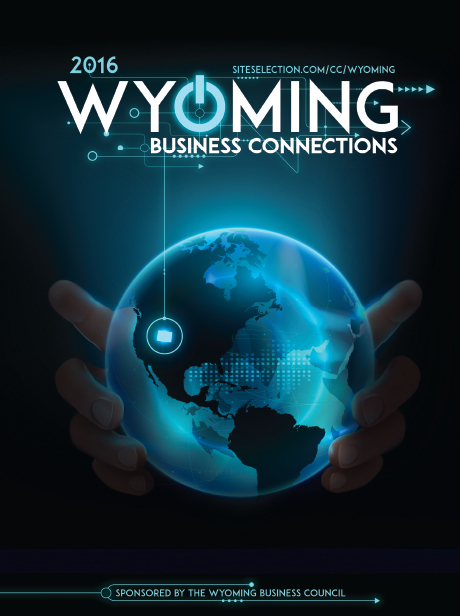 Because it relies on severance taxes for 39 percent of state revenues, Wyoming doesn’t have to impose onerous levels of taxes on companies doing business in the state. And those severance taxes continue to roll in even during a relative slowdown for oil & gas generally. No wonder, then, that the state also has the nation’s second-largest permanent fund (next to Alaska’s $50-billion-plus fund), at around $5.6 billion, as well as the No. 1 state business tax climate, according to the 2016 State Business Tax Climate Index released in November 2015 by the Tax Foundation. Federal clean power regulations threaten to derail the state’s advantages. But Wyoming Gov. Matt Mead is not sitting idle as the power picture changes. In October 2015 he directed his Attorney General to join a coalition of 23 states in challenging the EPA’s Clean Power Plan rule, finalized that month, which imposes a 44-percent carbon emission reduction requirement on Wyoming — more than doubling the 19-percent reduction in the agency’s proposed rule. Two weeks earlier, Gov. Mead was able to address the carbon challenge in a more positive fashion, as he announced that the Integrated Test Center (ITC) will be built at Basin Electric Power Cooperative’s Dry Fork Station near Gillette. The ITC will provide space for researchers to develop commercially viable uses for carbon dioxide emissions from coal-fired power plants. “We are making an investment in the future of coal. The research at the ITC will lead to new opportunities in petrochemicals and other commercial uses for carbon dioxide,” said Mead. In 2014, the Wyoming Legislature approved Governor Mead’s request for $15 million in state funds to build and operate the ITC provided $5 million in private matching funds were secured. Those funds have been pledged by Tri-State Generation and Transmission Association, Inc. In addition, the National Rural Electric Cooperative Association has pledged $1 million. Carbon XPRIZE teams are challenged to develop breakthrough technologies that convert the most CO2 into one or more products with the highest net value. Co-sponsored by NRG and COSIA (Canada’s Oil Sands Innovation Alliance), the multi-year competition was announced in September 2015. The WIA has $1 billion in bonding authority for energy infrastructure, and is overseeing 12,000 megawatts of transmission capacity now under development, originating in Wyoming and connecting with major population centers in the West, and representing potentially more than $12 billion in investments in transmission and an equivalent amount in generation facilities (including two mega-wind farms with a combined 5,000 MW). A study commissioned by Wyoming utility Rocky Mountain Power’s parent company PacifiCorp and unveiled in October 2015 found that combining PacificCorp’s own grid with the grid operated by the California Independent System Operator could produce between $3.4 billion and $9.1 billion in shared cost reductions in the first 20 years. PacifiCorp’s Rocky Mountain Power and Black Hills Power helped make the ITC project a reality. Their respective economic development teams continue to make corporate projects Wyoming a reality too. Rocky Mountain Power in August 2015 completed rebuilding the local transmission system, upgrading it from 69,000 volts to 115,000 volts. The multi-year project created a loop around the city of Casper. “We now have greater flexibility in the system during outages,” said Jim Bolinger, Rocky Mountain Power Wyoming operations director. “If the power goes out in one place, the loop allows us to deliver electricity from different directions and restore power more quickly.” In total, upgrades were done on 31 miles of transmission line around the city and in seven substations within the city of Casper. Earlier in the year, business customers received a total of $1.3 million in credits from the utility thanks to its wattsmart Business program, which offers small companies energy-saving and efficiency solutions. Last year Wyoming customers saved more than 17.6 million kilowatt-hours of electricity through their participation in the wattsmart programs. Black Hills Corp.’s economic development team helps serve 41,000 electric customers and 36,000 natural gas customers, including the major communities of Burns, Carpenter, Cheyenne and Pine Bluffs. The team’s scope is growing, as the company continues to acquire small gas utilities in different regions of the state. Black Hills Corp’s generation assets illustrate the drive toward a diverse energy portfolio. The utility is shutting down four coal-fired plants. The natural gas-fired 132-MW Cheyenne Prairie Generating Station, owned in part by Cheyenne Light, Fuel & Power, started up in fall 2014.